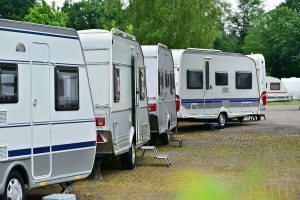 Backing up in a travel trailer or fifth wheel travel can be quite scary. I mean, how are you supposed to see those blind spots? 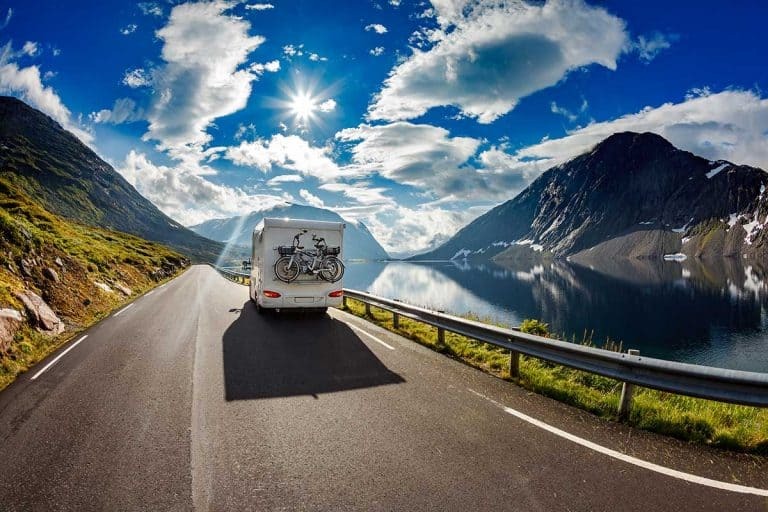 The answer to this question is a high-quality RV backup camera, which will suddenly make these blind spots visible. But this exciting realization leaves us with one complicated question, what RV backup camera do we pick? Since there are so many available options, it can become quite overwhelming for a customer to choose the right one. The process comes down to a backup camera that can provide field depth views, safety, and fantastic transmission quality. If you find one that offers all three, you’ll be well on your way to making backing up almost as easy as driving straight. 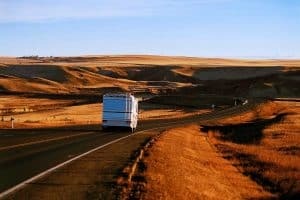 To make your search easier, I thought an article discussing the best RV backup cameras could help. And after a significant amount of research, I’ve found 8 RV backup cameras that should meet your needs. So please, read on and let me make this experience as stress-free and painless as possible. If you want a backup camera that offers high-quality picture resolution, this model could be perfect for you. The 7-inch monitor has an image resolution of 1440 X 234 pixels, which is among the best. 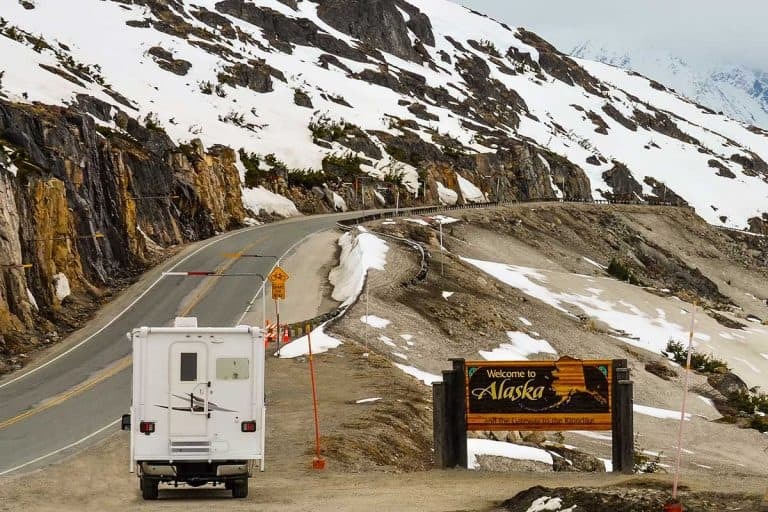 This high-quality resolution makes it capable of clearly displaying all potential obstacles while you’re backing up the RV. The 18 infrared lights it has aren’t too shabby either as they’re remarkably beneficial at night: they let you see up to 50 feet in the distance at night. And if you’re worried about backing up safely in the rain, don’t be: this device entirely waterproof as well. But we must note that some customers did complain that the installation process being a little complicated. It’s not an ideal situation, but one that isn’t a deal breaker given the reasonable price and amazing features. Click here to see this RV backup camera on Camping World! 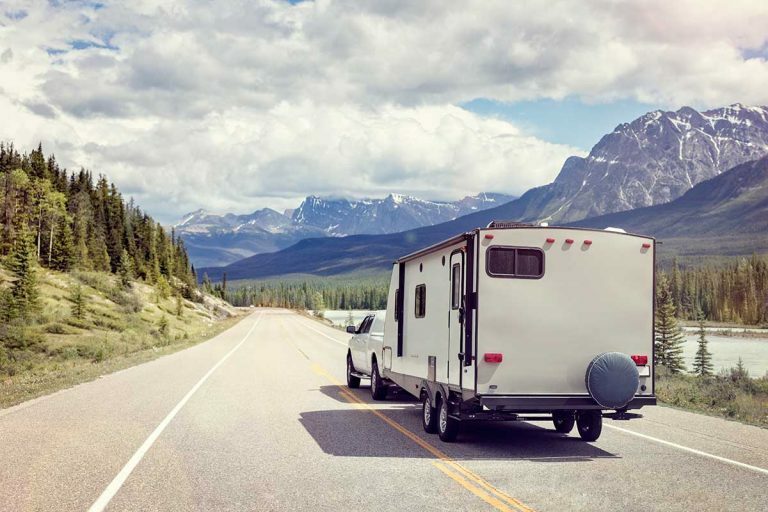 This backup camera’s one of the more versatile products mentioned in this post as it can work with many different vehicles: RVs, travel trailers, fifth wheel trailers, vans, etc. All of these vehicles could benefit from the fantastic features this camera can offer. The first thing worth mentioning about this camera is its high definition picture. If you buy this camera, there isn’t a single piece of your surroundings that’ll be blurry or unrecognizable. Your blind spots will effectively become entirely visible. The infrared night vision capabilities are a nice touch as well. It’ll make driving at night a much less stress-inducing experience. It even has eight LED lits embedded in the kit to ensure the night vision is entirely bright. The 7-inch screen is also rather large when you compare it the others we’ve discussed. 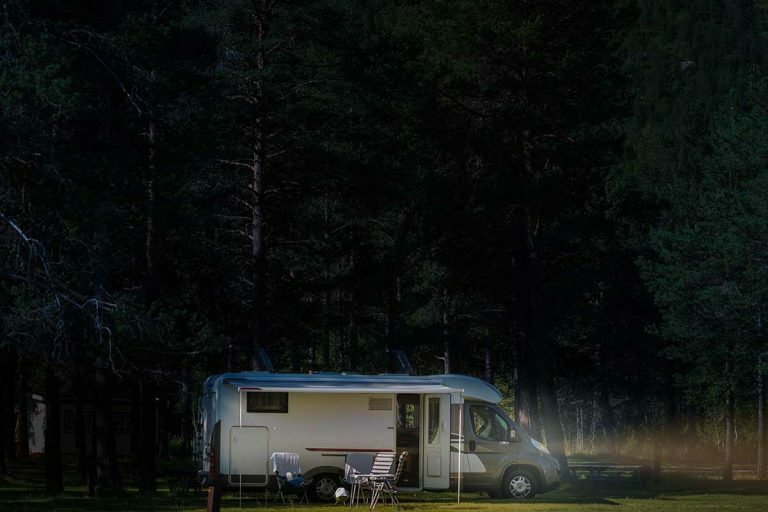 You shouldn’t have any visibility issues when using this product to help park your RV. eRapta’s RV Backup Camera might not be the most unique product; but it does have one quality where it outpaces the others on this list, its price. It’s easily the most affordable option in this entire article. But its affordability doesn’t mean its lacking in the quality department. This backup camera still has all those essential pieces to the best RV backup camera puzzle. It has the waterproof design, infrared lights, sensor, clear picture, etc. This particular model also has a wide viewing angle, which creates a clear view of what’s happening when you’re parking. Its flexible design isn’t a bad feature to have either as it lets you comfortably mount the camera in a preferred position. If you’re looking for a bargain, this RV backup camera would be a solid choice. It not very likely you’ll see a better deal than this one. The Emmako Digital Wireless Camera is another worthwhile option for RV owners who are on a strict budget. Its affordable price isn’t the best thing about it though as it has quite a few features to offer. As an example, this wireless camera has a built-in antenna, which ensures you interference-free performance. The signal will remain unbelievably strong regardless of the driving speed unless your rig’s longer than 80ft. 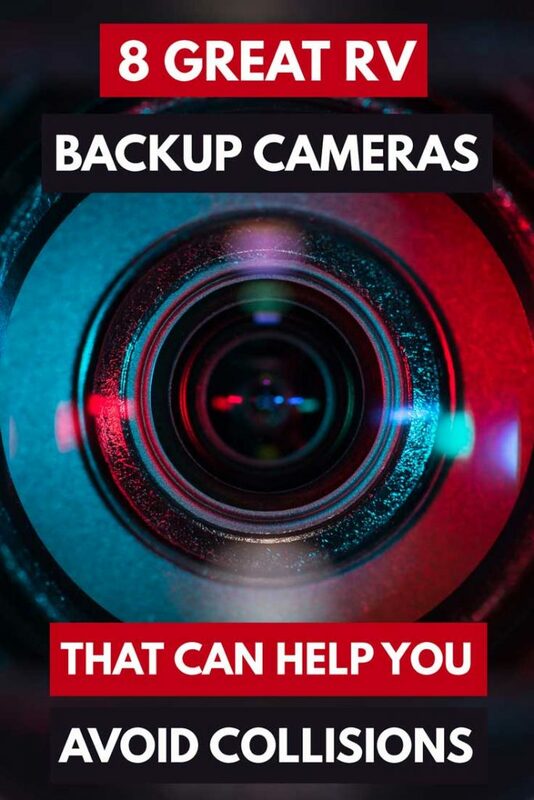 This camera’s also incredibly easy to install: you can either wire it to reverse lights for reverse use or to your running lights/12V battery for continuous use. In regards to the picture quality, this device offers a bright and full image with its 150-degree viewing angle. It even comes with an intelligent switch, which will help you set the camera’s setting with relative ease. Given all of these features, passing up on buying this product seems like it’d be a hard thing to do. This wireless RV backup camera has a 4.3-inch anti-glare screen that will display all your surroundings incredibly clearly. This anti-glare technology also works efficiently at making automatic adjustments for different contrast, brightness, and color. In other words, there will never be a time where you can’t see the screen. The device also has a security camera auto-wake feature that’ll turn the camera on anytime it senses movement. It even has infrared night vision capabilities, which makes backing up in the dark a much less scary situation. In fact, its ready for all conditions as this model’s waterproof as well thanks to its IP65 rating. And the best part is the transmission quality’s second to none: this device is designed to project a clear and wide image with audio capabilities of the area it’s transmitting. With this backup camera, you’ll never be surprised by a blind spot ever again. Since it’s a commercial grade backup camera, it isn’t shocking that this product is high-quality. It becomes apparent when you notice it has a 7-inch LED widescreen monitor, which offers top of the line image quality. This 7-inch LED monitor doesn’t just offer remarkable picture quality; it also has a built-in digital wireless receiver. This receiver helps provide a completely static-free experience while projecting a 100% clear image. But the best part is how easy this particular camera’s to use and install. All you need to do is plug it into your cigarette lighter plug, and you’re well on your way. A simple installation process is always a plus regardless of the product. Another added benefit this device has is a removable external antenna. Its inclusion will allow you to keep the connection strong even with long-range signals. The price being reasonable is just another reason this camera has to be a must-consider. Click here to see this RV backup camera on Amazon! As the last product on this list, the Auto-Vox Digital Wireless Backup Camera System doesn’t disappoint. This camera has a 120-degree lens angle that’ll offer you a full image of all your surroundings when you’re reversing. It also includes a 7-inch monitor with a resolution of 800 x 480 pixels, which produces fantastic picture quality. The monitor has a built-speaker, two video inputs, and one auto output to achieve the best sound/image quality possible. Aside from the monitor, the camera comes with a wireless transmitter that can supply high-quality clear signals within a 30m range. Likewise, it has 18 LED lamps inside the device that can provide visibility at night up to an 8m range. We must note that you can only use this particular camera for reserving. But if you want a camera purely for reversing purposes, you can’t go wrong with this one. 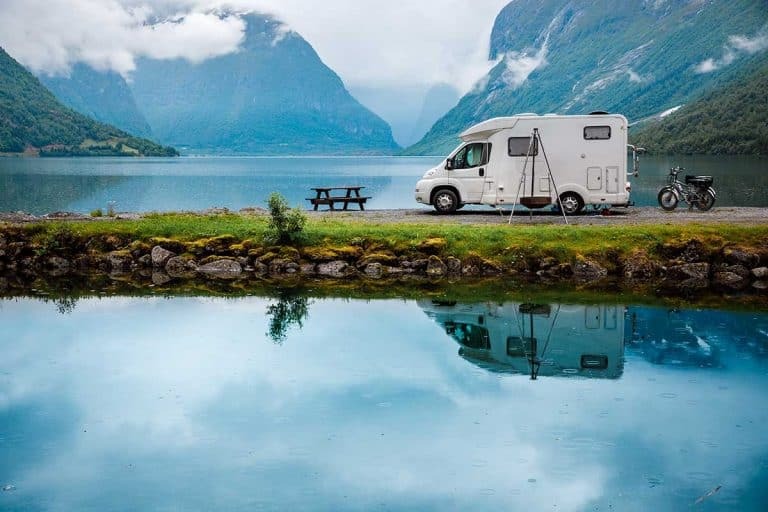 After seeing all these top-end RV backup cameras, which one did you like the most? Let us know in the comments below! 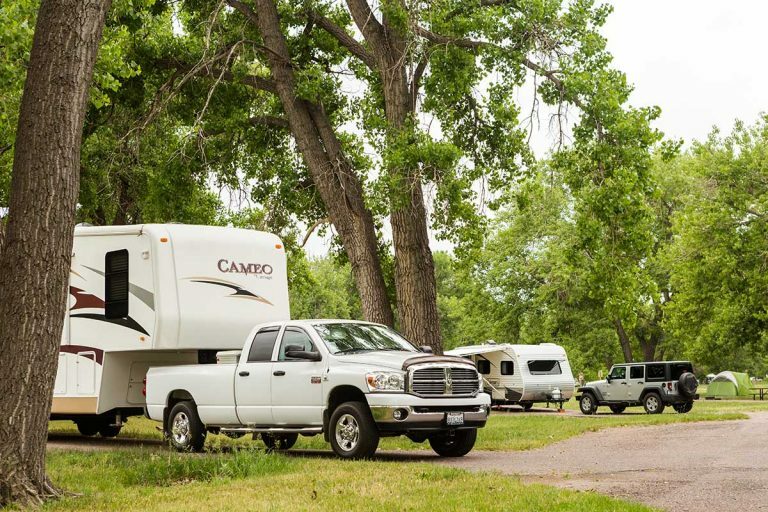 And don’t forget to check out our 11 Tips for Backing up a Travel Trailer or 5th Wheel too! 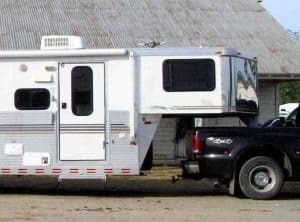 Previous PostCan You Ride in an RV While It’s on the Move?